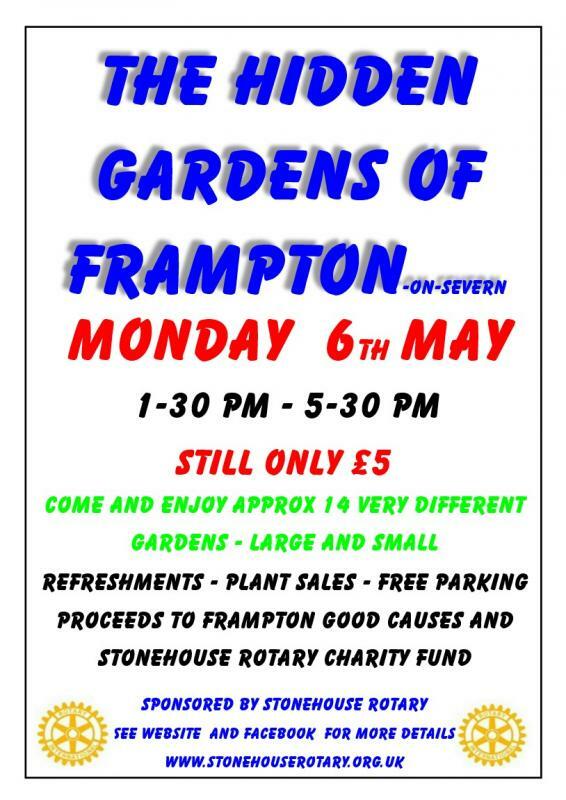 Another year -and the gardens of Frampton on Severn will have developed, and the scene will be different to last year. Come and view some of these beautiful gardens and finish your visit with tea and cake in the village hall! Free minibus shuttle. Another year -and the gardens of Frampton on Severn will have developed,and the scene will be different to last year. Come and view some of these beautiful gardens and finish your visit with tea and cake in the village hall! Still only £5 for a great afternoon out - 1.30pm to 5.30pm. Click here to see the full ;poster.